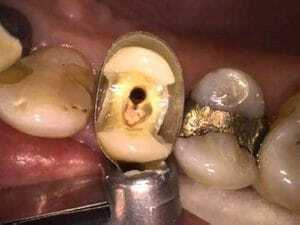 Dental crowns and bridges are used as fixed prosthetic devices that are added to implants or teeth to cover spaces and prevent further damage. The latest treatments involving dental crowns and bridges can be completed with seamless precision using diagnostic technology to help patients achieve that ideal, comfortable fit. 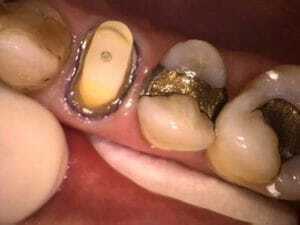 A dental crown is when we use a “crown” or “cap” that completely covers a tooth or dental implant. 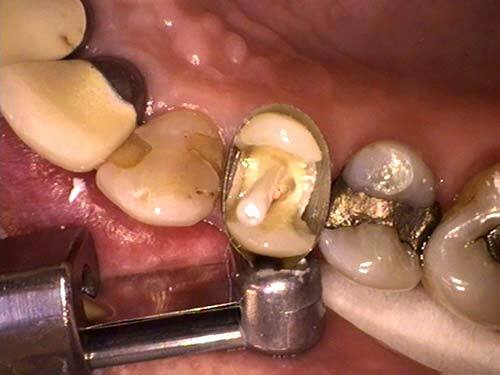 Crowns are placed on teeth when a large cavity, filling or crack has undermined the strength of a tooth. 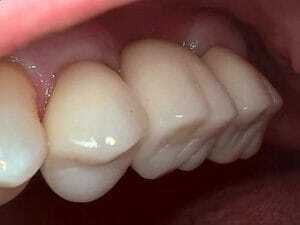 Crowns are also used to improve the appearance of teeth. 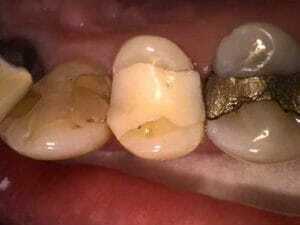 The required level of aesthetics and strength determines the appropriate material used to fabricate a crown. A dental bridge is a replacement for one or multiple missing teeth. 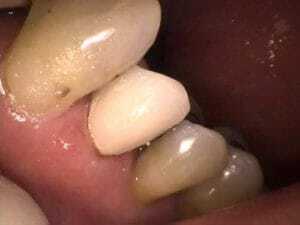 The teeth adjacent to the space created by the missing tooth/teeth are prepared for crowns. 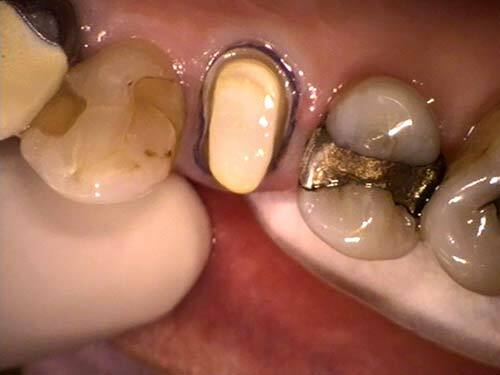 An impression is taken and sent to a dental lab where a one-piece bridge is fabricated that is permanently bonded to the supporting teeth. Why Use Guelph Village Dental? Our team of dentists at Guelph Village Dental has decades of experience in this area and we’re offering the local area’s leading crown and bridge treatment services. 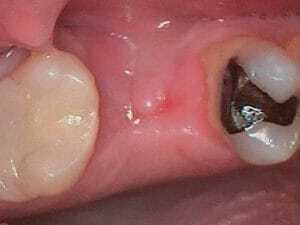 Before exploring the full range of restoration options available to you, it is imperative patients gain an understanding of each unique service. 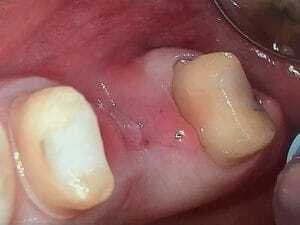 Let’s look at a few of the benefits for patients undergoing treatment for the placement of dental crowns and bridges. One of the most important reasons patients undergo treatment for dental crowns and bridges is to restore the look of their natural smile. Crowns and bridges can be used to replace gaps in the teeth and create a natural, healthy smile that grows a patient’s confidence. Often having a misshapen tooth or a gap can make it difficult for a person to chew and enjoy their food. It’s why so many people choose to undergo crown and bridge work with the experts at Guelph Village Dental. Our clinic staff can help patients overcome their day-to-day challenges in this area. 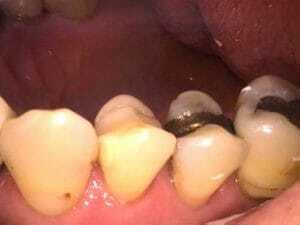 One of the major problems for patients with missing or poorly aligned teeth is that the remaining teeth within the mouth have been weakened by the increased force load and this often allows bacterial seepage. This can then cause significant health problems over time, including infections, periodontal (gum) issues and eventual tooth loss. 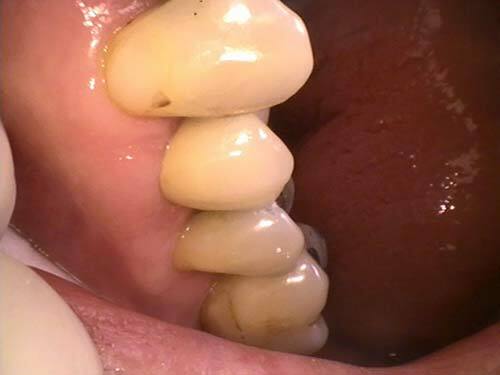 Undergoing crown and bridge treatment can ensure that the remaining structure of the mouth is strengthened to help prevent further health challenges in the future. Our experienced team at Guelph Village Dental can help you to achieve your ideal appearance and prevent oral health problems in the long-term with the latest dental crown and bridge treatment. We begin this process with a comprehensive consultation. During the consultation phase, we’ll discuss your oral health challenges with you and conduct an examination to determine the optimal treatment strategy. This provides the ideal foundation for your treatment process and helps ensure your personal oral health goals are met with precision and technologically advanced crown and bridge work. The Guelph Village Dental team is available now to help you move forward in the treatment process. To book a consultation today, contact us now!